It’s a bright, breezy midsummer’s morning in Paris when I disembark the Eurostar at Gare du Nord, ready for a jam-packed day of culture. I’m here to visit a selection of private collections and museums dotted across the city, presented by some of France’s most prestigious maisons in a celebration of creativity and craft. While it’s no secret that luxury brands have sought inspiration from the art world throughout their history, in recent years influential names such Louis Vuitton, Cartier and Baccarat have gone one step further. 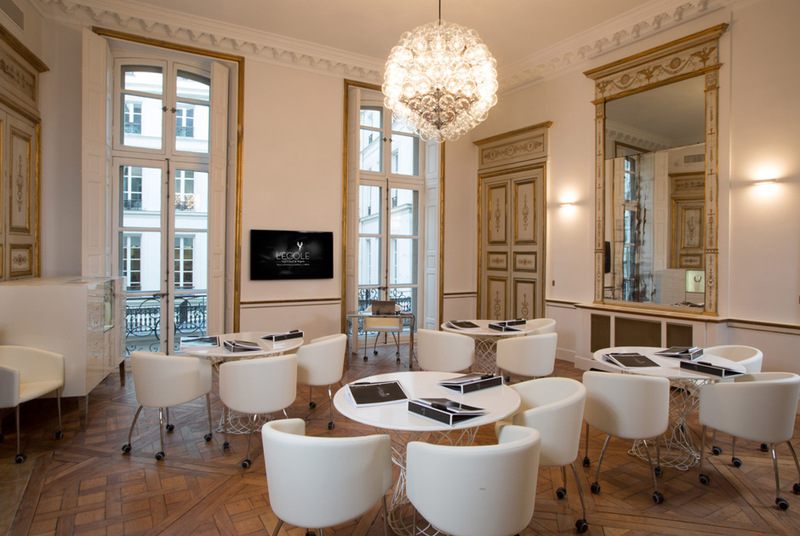 From art galleries to historical museums and even schools of savoir-faire, Parisian houses are effectively “giving something back” to their admirers, engaging in a new approach to cultural philanthropy by sharing their unique take on art, knowledge, heritage or a taste of the luxury lifestyle. Café latte in hand, I make my way to the eighth arrondissement, enjoying the walk along the leafy tree-lined Avenue Hoche. No matter how many times I see it, there’s always something impressive about passing the immense Arc de Triomphe at Place Charles de Gaulle on the way. I arrive at my first stop, Le Royal Monceau, Raffles Paris, where, being a bit of a bookworm, I soon lose myself in the hotel’s beautiful art bookstore La Librairie des Arts, before Julie Eugène, the hotel’s in-house Art Concierge, comes to fetch me from the gleaming collector’s tomes and intriguing glass-encased sculptures. Julie has been invaluable in the run-up to my trip. Her role includes arranging private viewings and behind-the-scenes tours of Paris’s best known — and more in-the-know — art hubs and before my arrival she has been busy pulling strings to get me access to a selection of the best. Armed with a list of places to see, I have just enough time for a quick peek into the hotel’s own private on-site gallery, Art District, which is tucked away towards the back of the building on the ground floor. After all, Le Royal Monceau is a Parisian institution in itself with its own cultural pedigree. At the time of my visit, the bijou gallery space, which showcases around six exhibitions per year, is dedicated to Genesis, an exhibition by Brazilian photographer Sebastião Salgado. Shot in black and white, the 14 images adorning the walls make up a “homage to planet Earth”, explains Julie, by capturing the beauty of landscapes, animals and communities in their natural state, away from the harmful influence of modern man. Time is ticking on, so I make a swift exit through the elegant lobby in the direction of the Bois de Boulogne, which skirts the western edge of the 16th arrondissement. Once used as a hunting ground for French royalty, this large park is a welcome oasis of calm among the bustling Parisian streets, complete with shimmering lakes and pretty botanical gardens. With the sun shining overhead, my scenic route takes me along the Avenue du Mahatma Gandhi, where I discover an immense construction of glass and metal rising above the trees. Created by renowned American architect Frank Gehry, Fondation Louis Vuitton is an aesthetic marvel in itself, its transparent structure suggestive of a city-bound iceberg with huge curved glass sails. The building looks particularly impressive when I arrive, the exterior temporarily transformed with a riot of rainbow-coloured filters by French artist Daniel Buren. 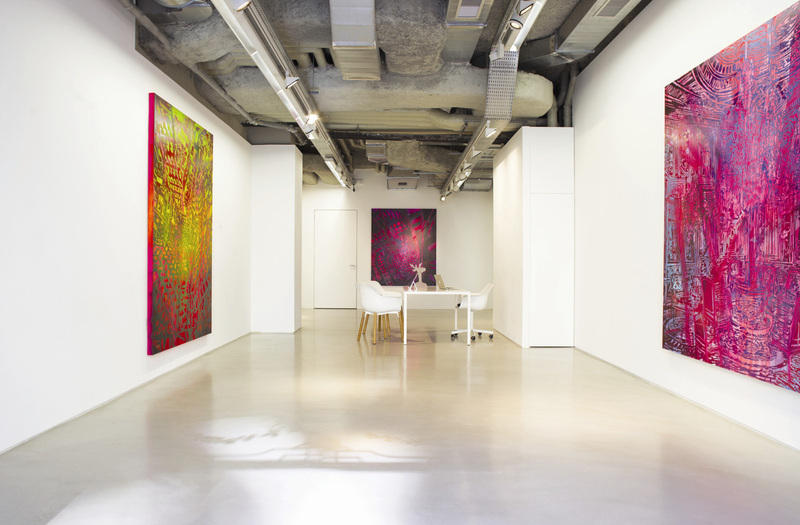 Having first opened its doors in 2014, the private LVMH-owned institute has become a must-see in Paris for its unparalleled collection of contemporary art. Open to the public six days a week, it is closed the day of my visit, but luckily Julie has arranged a private tour. Housing two temporary themed exhibitions a year — one featuring popular modern art, the other a more cutting-edge “hang” — the museum’s complete collection is never fully revealed at once, giving visitors a reason to keep coming back. Its exhibition Icons of Modern Art (from 22 October) features the celebrated collection of Russian arts patron Sergei Shchukin, with works by Picasso, Matisse, Monet, Cézanne and Manet among more than 250 paintings. Built on public land, the foundation will be donated to the city of Paris in just over 50 years — a fitting act that chimes with the philanthropic mantra of the institution itself: “Art is to be shared.” I could have spent hours wandering the gallery’s light, airy spaces, which are purposefully designed to get lost in, but it was time to head to my next destination in the 14th arrondissement — the Fondation Cartier pour l’Art Contemporain, found on the quiet, almost unassuming Boulevard Raspail. 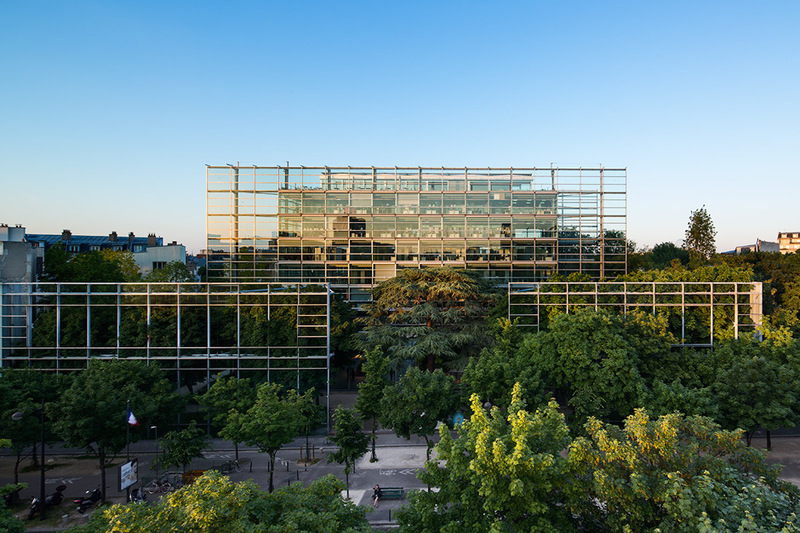 Smaller and somewhat more industrial than Louis Vuitton’s grand offering, Cartier’s rigid glass and steel construction — designed by Jean Nouvel as a “Parisian monument” — is softened by a lush, almost overgrown wild flower garden surrounding the building on three sides. Inside, the jungle-like effect is magnified by The Great Animal Orchestra, the current exhibition taking over the split-level gallery. Inspired by the work of American musician and bioacoustician Bernie Krause, a mix of aural and visual artworks have been collected from around the globe to create an immersive experience themed around all manner of wild beasts. 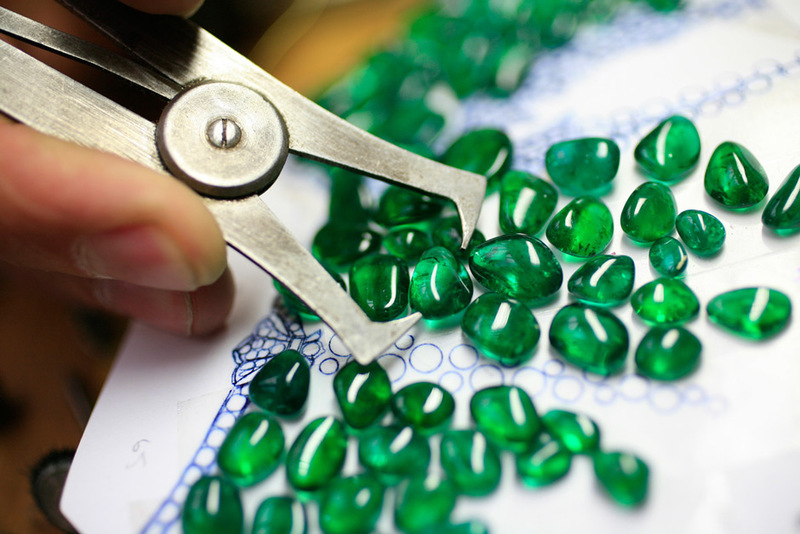 Cartier was the first French corporate brand to establish its own contemporary arts foundation in 1984 and later prompted the French government to pass the country’s inaugural law on cultural patronage. Over the past 30 or so years, the institute has grown into a space that encourages and promotes a wide range of emerging and established talent. They have included the contemporary glass artist Jean-Michel Othoniel, Japanese sculptor Tatsuo Miyajima and Congolese painter Chéri Samba, along with more left-field names such as Patti Smith and David Lynch. Additionally, the foundation’s “Nomadic Nights” initiative offers visitors a monthly live event dedicated to more unusual aspects of art, from concerts and performances to lectures and video screenings. Leaving the screeches and squawks of the animal kingdom behind me, I head off to my next stop — L’École Van Cleef & Arpels on the historic Place Vendôme, an initiative founded by the high jewellery maison in 2012. 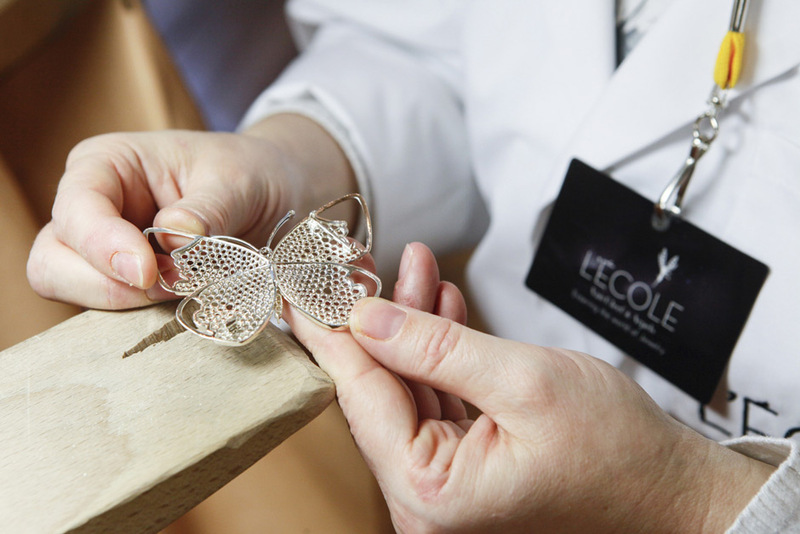 Lifting the veil on the secretive worlds of jewellery and watchmaking, the school enables the brand to hand down its heritage to a new generation of luxury lovers. Everyone from the simply curious to budding artisans can discover new skills with a range of dedicated courses, including jeweller’s techniques, painting gemstone renderings and exploring the influence of Art Nouveau. 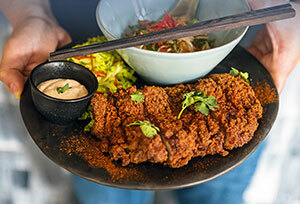 After stopping for a light chêvre chaud salad at the delightful XVIè Avenue restaurant, I make my way to my next destination. 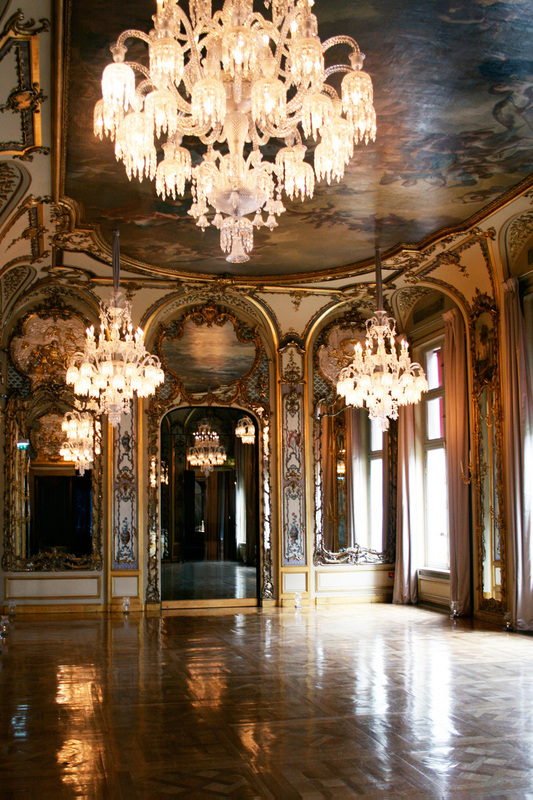 Located on the sleepy, sun-dappled Place des Êtats-Unis is Galerie-Musée Baccarat. First opened in 2003, it offers visitors the opportunity to discover the story behind Baccarat’s exquisite crystal creations, which have been loved by royalty and the international glitterati since the brand’s founding in 1764. Housed in a former mansion, the building was once home to Vicomtesse Marie-Laure de Noailles, an influential arts patron linked to the likes of Salvador Dalí and Jean Cocteau. 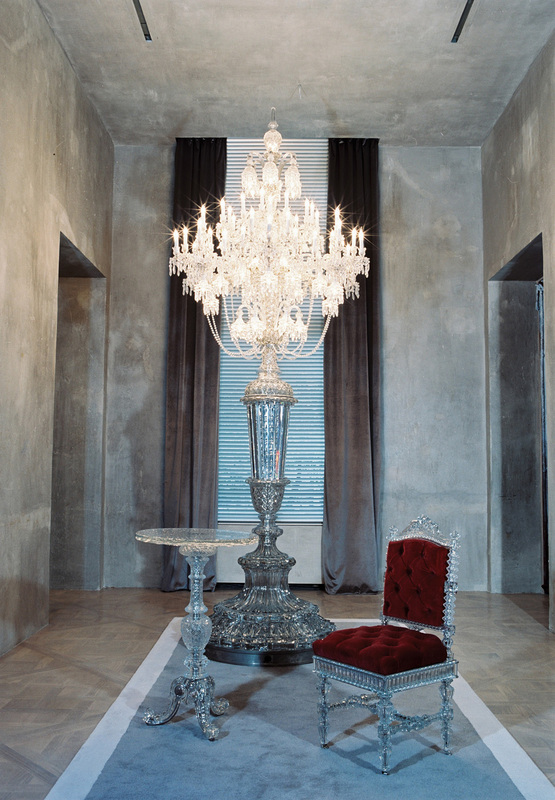 Designer Philippe Starck later gave the site a 21st-century revamp for Baccarat. I’m shown around by Michaela Lerch-Moulin, the impeccably dressed curator of Baccarat’s Heritage Collection, who is clearly passionate about the maison she works for. Inside, my magpie tendencies are thrilled by the sight of sparkling surfaces in every direction, from a splendid 150-light chandelier illuminating the entrance to large cut-glass mirrors and beautiful engraved vases. One highlight is the Alchemy Room, a visual exploration of the four key elements that go into crystal-making. Another space contains a beautifully laid table, groaning with crystalline treasures made for the likes ofTsar Nicholas II and Marilyn Monroe. I have time for a final, fleeting stop before heading home. On rue Cambon, a second-floor apartment once belonging to the first lady of French fashion, Coco Chanel, has been transformed into a beautiful private museum. Only those lucky enough to get an appointment can gain access. 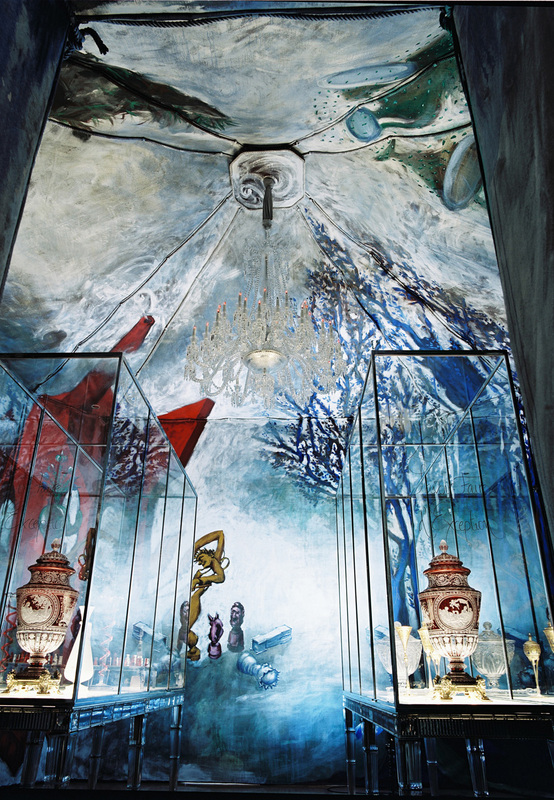 Shadowing the footsteps of such famous figures as Salvador Dalí and Elizabeth Taylor — the likes of whom Chanel regularly entertained at the salon — visitors enter a world frozen in time, full of gilded décor, immaculately preserved furnishings and opulent gifts from Chanel’s many admirers. The space is a testament to the designer’s exquisite taste and hallmarks of her quintessentially Parisian aesthetic — think crystal chandeliers, polished black lacquer and No. 5 motifs — can still be seen in the new season designs stocked in the Chanel boutique, conveniently located on the ground floor. With the summer sun setting over the city, I make my way back to Gare du Nord, feet throbbing and camera battery exhausted, but my mind buzzing with inspiration. Of course, I have only touched on a small part of what France’s luxury maisons have to offer — for those willing to venture out of the Paris city centre, there are more cultural treasures to be found. 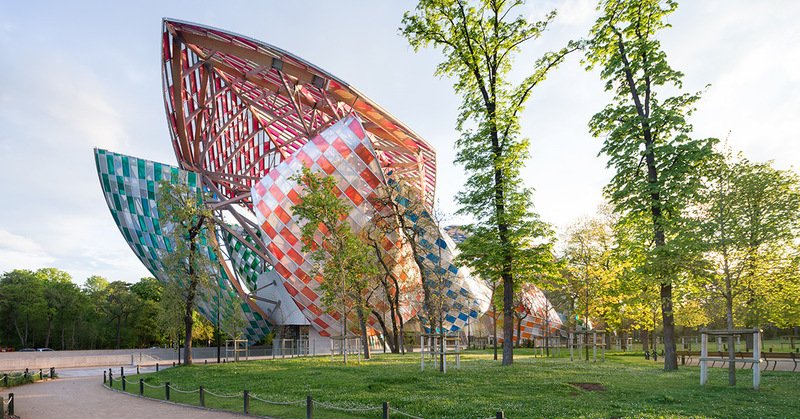 Louis Vuitton’s influence extends beyond its foundation in Bois de Boulogne with its museum in Asnières-sur-Seine in the north-western suburbs. 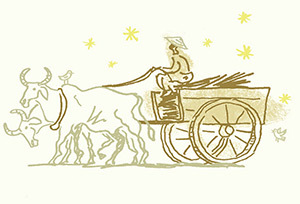 Once home to the company’s founding family, it is dedicated to keeping the fashion house’s legacy alive. It’s also where the Vuitton sons each learned the art of making signature trunks and also houses a carefully conserved archive. Further afield in Granville, about a three-hour train journey from Paris, the Musée Christian Dior overlooks the sea, all wrought-iron curlicues and sugared almond exteriors. The couturier himself grew up in this delightful villa setting, which now stages exhibitions that combine a growing in-house collection with pieces that have been gifted or loaned by benefactors. It’s yet another example of how, despite state-approved cultural philanthropy remaining a novel concept in France, luxury maisons are establishing new cultural institutions. And visitors to Paris with a penchant for history, heritage and the arts will find they are more spoiled for choice than ever before.